We are thrilled to announce that the Snoezelen room in our Bloor Respite facility will now be given a new name in honour of Ecclesiastical Insurance and their grant of $25,000 to our Therapeutic Environments program. This grant was awarded as part of Ecclesiastical Insurance’s 2018 Community Impact Grant Program in support of projects that make a positive and sustained impact in the community by benefiting youth, vulnerable and under-represented people. The Snoezelen room is a multi-sensory environment that provides a relaxed space to calm and reduce agitation with soothing sounds, gentle light and touch while also allowing for stimulation through exciting visuals, and textures to explore. “We were thrilled to support the Snoezelen room at Safehaven. We had an opportunity to visit Safehaven and learn about their mission of supporting children and young adults living with complex care needs, we felt that this project truly benefited the vulnerable in our community.” said Joe McKeown, Vice President of Underwriting, Ecclesiastical Insurance. “It was great to see the tremendous addition that the Snoezelen room makes at the Safehaven facility. I can see how the features of this room really add to the experience for the children and young adults who are able to spend time at this complex. 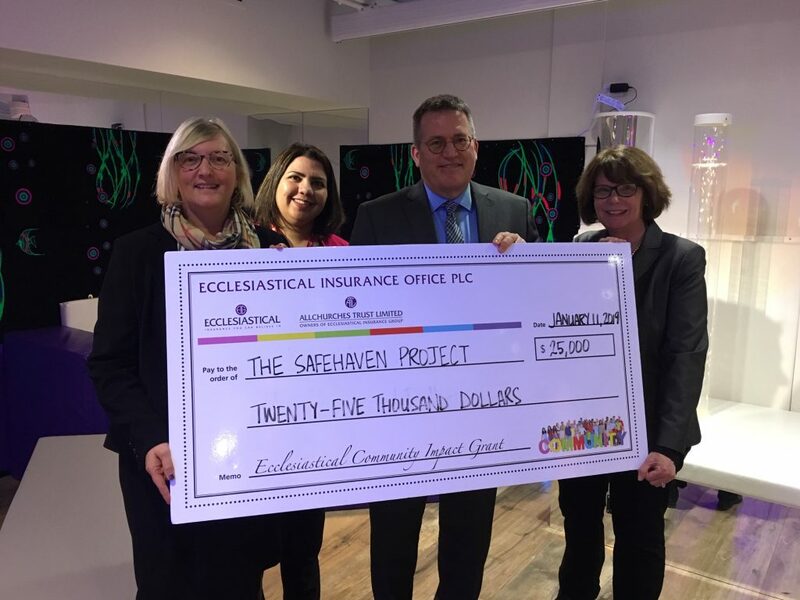 This room builds on the great atmosphere that the staff at Safehaven have worked so hard to create in support of the community they are serving.” said Karen Braithwaite, Vice President of Business Solutions, Ecclesiastical Insurance. Ecclesiastical Insurance is owned by Allchurches Trust Limited (ATL), one of the largest registered charities in the United Kingdom. All of their income, with the exception of operating costs, is re-distributed to charitable initiatives.